The spruce budworm, the main defoliator of conifer trees in Eastern North American boreal forests, is spreading northwards, and climatic factors seem to trigger and synchronize major outbreaks. These results are revealed in a recent reconstruction of the outbreak history of this species in Quebec during the last century, based on a dendroecological approach, i.e. analyses of the growth rings of trees. 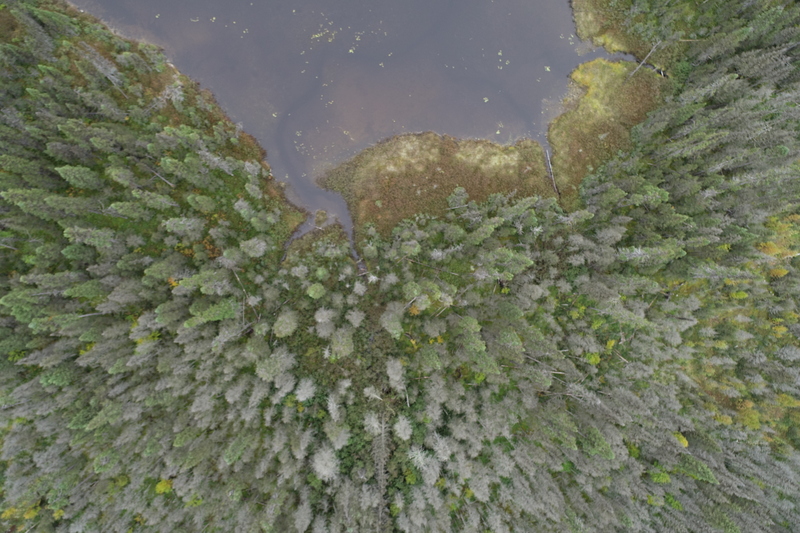 The study was published recently in Frontiers in Plant Science by Miguel Montoro Girona, currently working at SLU in Umeå in the Restoration Ecology Group at the department of Wildlife, Fish, and Environmental Studies, and colleagues from Université du Québec à Chicoutimi and Université du Québec en Abitibi-Témiscamingue. Recurring natural disturbances in forest landscapes, such as fires, storms and insect outbreaks, have significant consequences, both ecological and economic. Understanding natural disturbance cycles is therefore a major issue in forest science, not least with regard to the possible consequences of climate change in boreal forests. 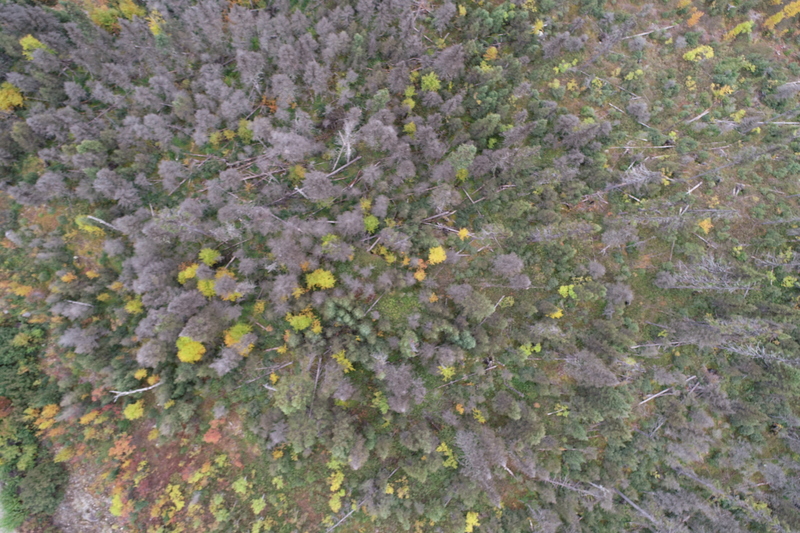 Photo 1 -2 : Boreal forest during a spruce budworm outbreak. North-Shore, Quebec, Canada, 2017. Photo: Miguel Montoro Girona, Hubert Morin and Janie Lavoie. Miguel Montoro Girona and his Canadian colleagues have recently published a pioneering work in this field. Through extensive detective work, they have made a detailed mapping of the last century’s outbreaks in Eastern Canada by the spruce budworm (Choristoneura fumiferana), a moth species that during outbreaks can defoliate large numbers of trees in wide areas, and that is considered as the main defoliator of conifer trees in Eastern North American boreal forests. “In scenarios of future climate change, there is a projected increase in the occurrence and severity of natural disturbances in boreal forests. Our study provides the first solid evidence of a northward shift in the natural range of this species. It also shows that outbreaks have become more frequent and more severe“, says Miguel Montoro Girona. Photo 3 : Boreal forest during a spruce budworm outbreak. North-Shore, Quebec, Canada, 2017. Photo: Miguel Montoro Girona, Hubert Morin and Janie Lavoie. The spruce budworm is a much studied and important pest species, but still there has been limited knowledge about its’ outbreak history, how populations have fluctuated in time and space at the landscape level. 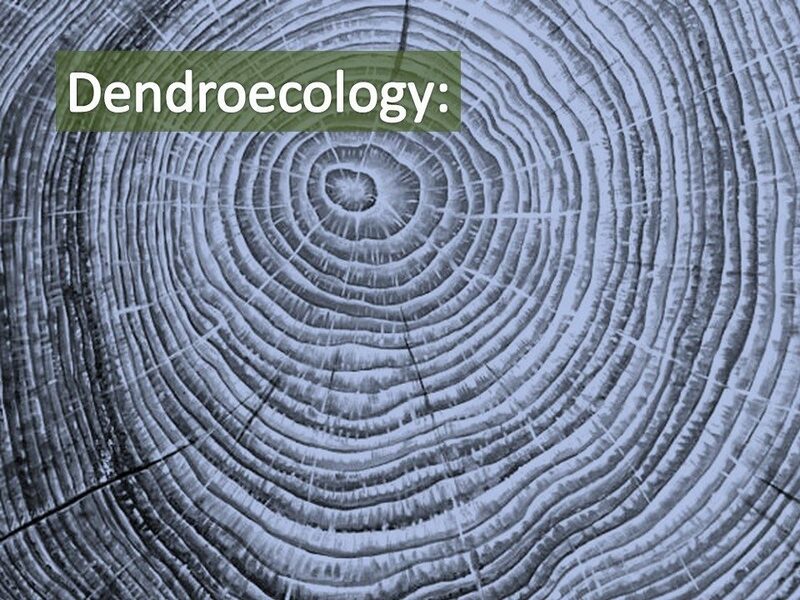 To reconstruct the species’ outbreak history in Quebec during the 20th century, Montoro Girona and his colleagues have made use of the growth history archive that is preserved in the form of annual growth rings of trees. 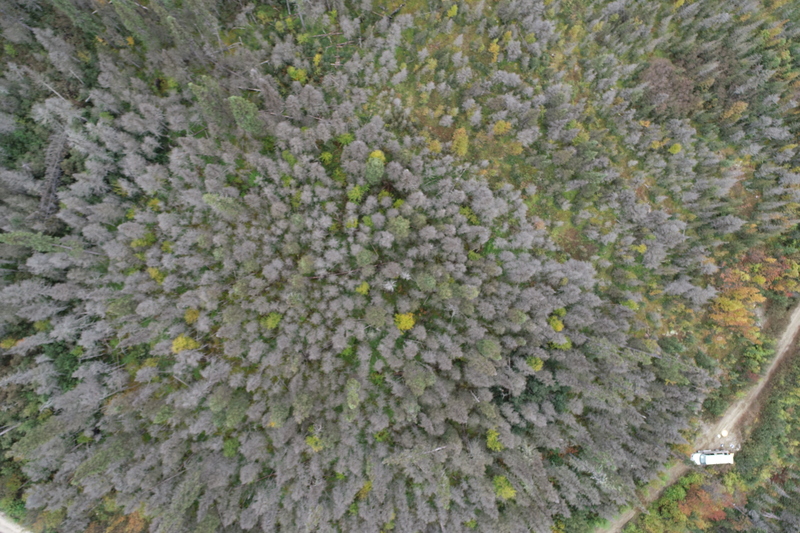 Heavy infestations by the spruce budworm severely inhibit tree growth, and the research team have used methods that make it possible to determine whether a pest or other factors have reduced or halted growth during a particular year, for example by using weather data and growth ring data for tree species that are not attacked by the spruce budworm. The study is based on a big compilation of growth ring data in databases from a variety of projects that have been carried out in Quebec over the past 20 years. Almost 4000 trees (mainly black spruce) that were at least one hundred years old, and that represent an area corresponding the size of Sweden and Finland together, were included in the study. 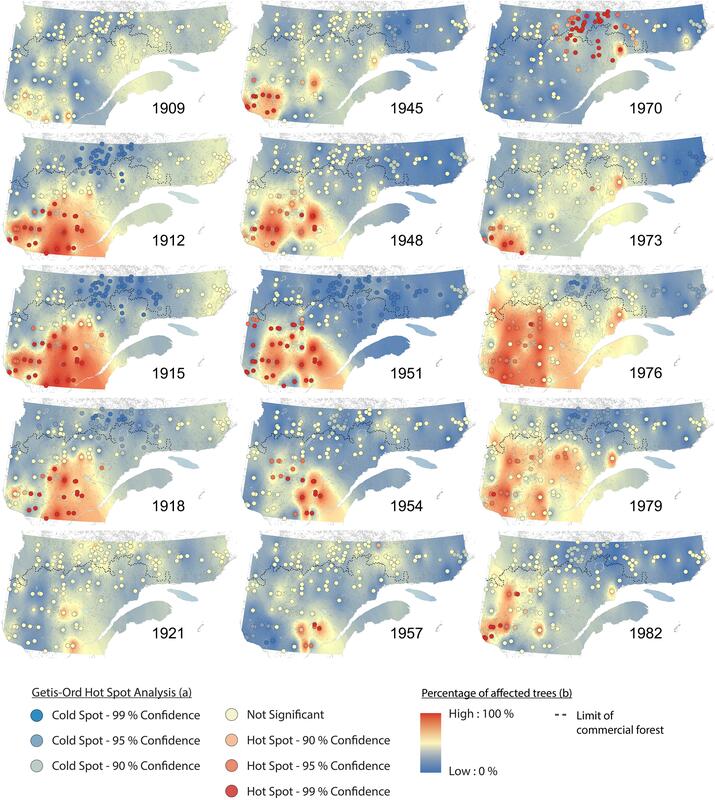 “For the first time, we can show that the spatial patterns have been different during the major periods of mass occurrence in Quebec during the 20th century, and we have also revealed the importance of climate as a triggering and synchronizing factor,” says Montoro Girona. Photo 5 : Boreal forest during a spruce budworm outbreak. North-Shore, Quebec, Canada, 2017. Photo: Miguel Montoro Girona, Hubert Morin and Janie Lavoie. The study consists of both basic and applied research, and the researchers believe that the results should interest the research community as well as industry and decision-makers. Miguel Montoro Girona is currently working at SLU in Umeå, where he models the effects of natural disturbances in forests, by factors such as moose, storms and insect outbreaks, in a changing climate.